Life expectancy rates for patients who have myeloma, which affects areas of the body where bone marrow is active, are improving. Affecting multiple areas of the body where bone marrow is active, myeloma life expectancy rates have improved steadily over the past two decades. Each year in the UK approximately 4,900 people are diagnosed with myeloma, a type of cancer which develops from the plasma cells in the bone marrow. In myeloma, plasma cells become abnormal, multiply uncontrollably and stop releasing the normal range of antibodies. Myeloma affects multiple places in the body where bone marrow is normally active, such as the bones of the spine, skull, pelvis, rib cage and limbs. Myeloma is a relapsing-remitting cancer, with periods of stable remission. Life expectancy rates for patients with myeloma have improved considerably over the past two decades. This means there is a growing population of long-term survivors of myeloma experiencing the late effects of the disease, treatments and ageing. Guidelines for screening and management of late and long-term consequences of myeloma and its treatment have been published to help improve care for this cohort of patients. The guidelines, in the British Journal of Haematology, call for early recognition of late effects and effective management strategies. Myeloma does not always have symptoms in its early stages, and might be detected in a routine blood test. Common symptoms include being more prone to infections, which can take longer to resolve, abnormal bruising and bleeding, tiredness and breathlessness. 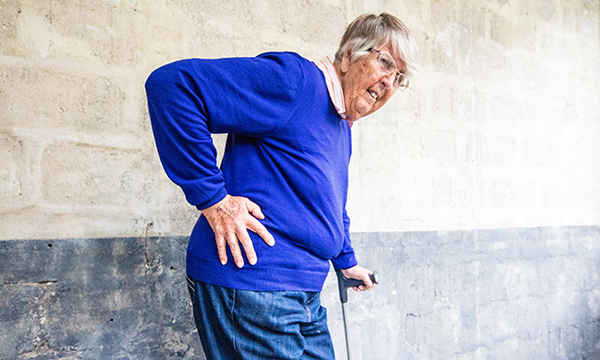 Pain in bones, especially ribs and lower back, and swollen ankles are also signs. Long-term effects can lead to diminished physical, psychological and social functioning, fatigue and pain. The risk of myeloma increases as people get older and is rare in people under 40. It is almost twice as common in black populations as it is in white and Asian populations. It is more common in men than women. Those with a family history have a 2-3 times higher risk. Being overweight or obese may slightly raise risk. Be aware that the combined late effects of myeloma and its treatment constitute a unique syndrome. The burden is often greatest in those with advancing age and multiply-relapsed disease. Survivorship in myeloma requires specialised screening from soon after diagnosis, coordinated management and multidisciplinary care. The guidelines set out which assessments should be carried out for each symptom, including psychological assessments, and their minimum frequency. ‘These new guidelines have been written in partnership with nurses, other members of the team and patients, so they are not just medically led. They are evidence-based and have been rigorously reviewed to provide the best assessment and treatment for myeloma patients. ‘Importantly, the guidelines give parity to health and well-being as well as medical management of myeloma. They highlight the importance of holistic needs assessments, which are a key part of the nursing role, and also that these assessments of patient symptoms and concerns must be ongoing. The document also sets out the wider multidisciplinary team who should be involved in myeloma care, especially close involvement of allied health professionals.